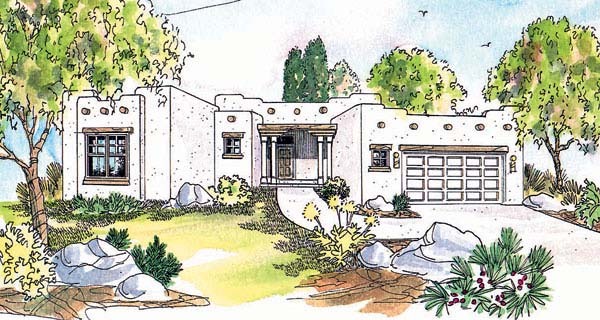 Pueblo-style southwestern home plan features one large gathering space plus large covered patio. Master suite has spa tub, dual vanity and direct patio access, great for hot tub. One of the three bedrooms could be outfitted as a study or home office.